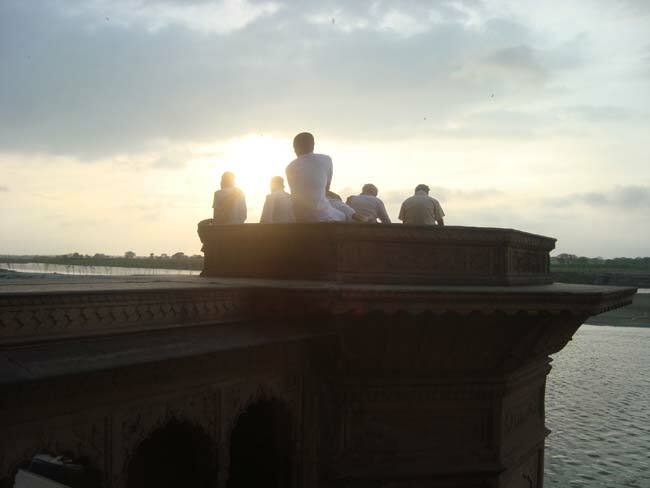 Heading from our Math via Keshi Ghat as the suns sets over the Yamuna. 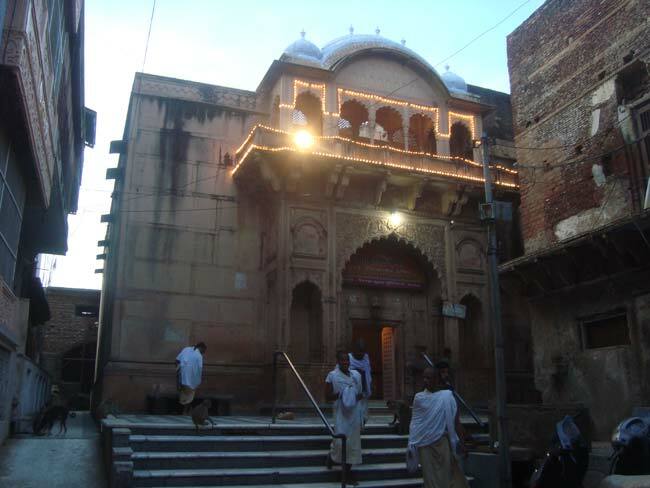 Yamuna Arati. 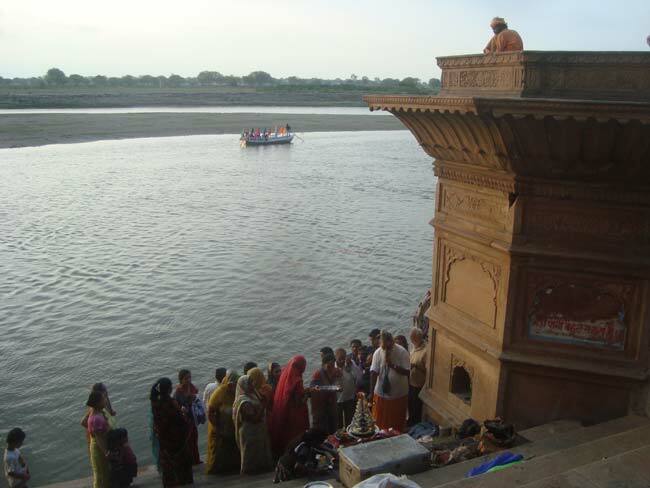 The river is very low but the monsoons arrived yesterday. 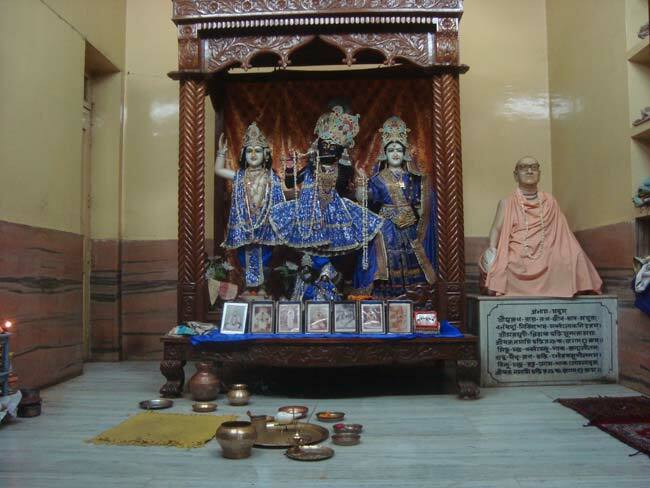 Just behind, his Sri Radharaman Temple. 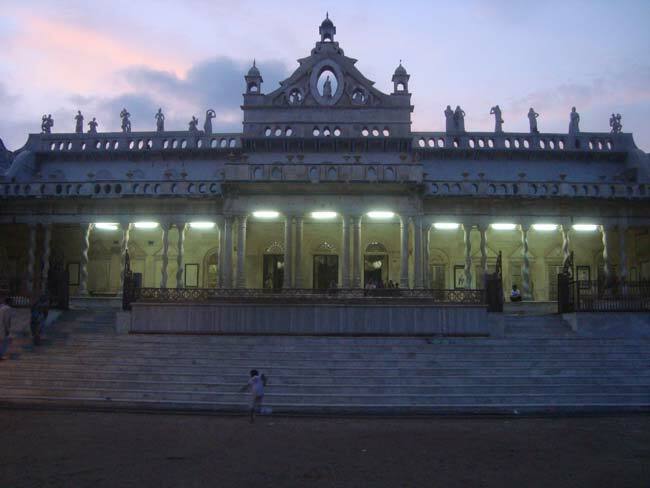 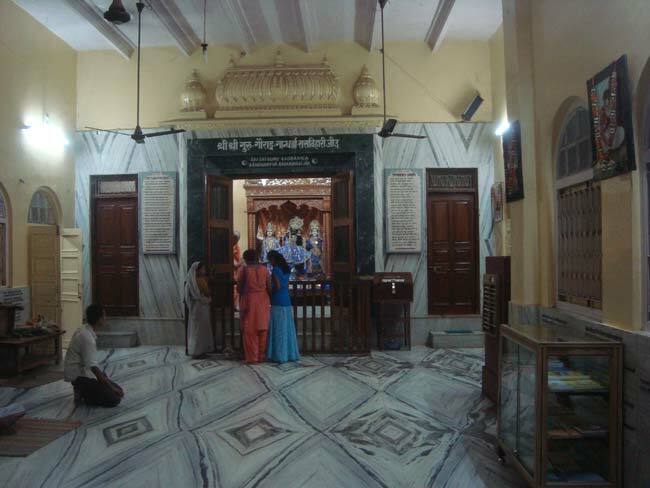 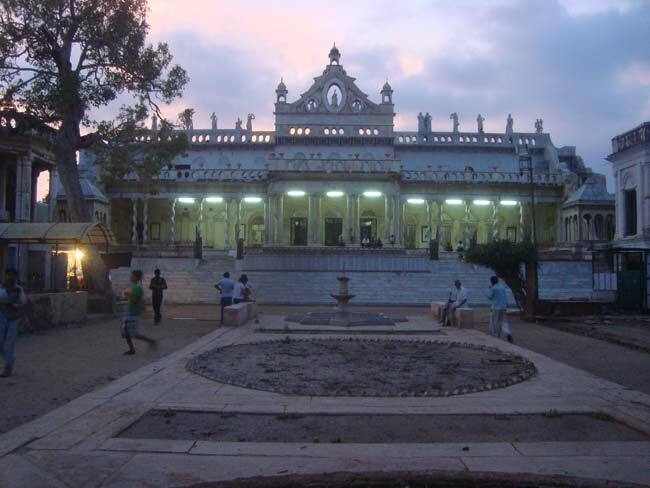 Srila Gurudev, Srila Govinda Maharaj, would visit this temple along with his devotees. 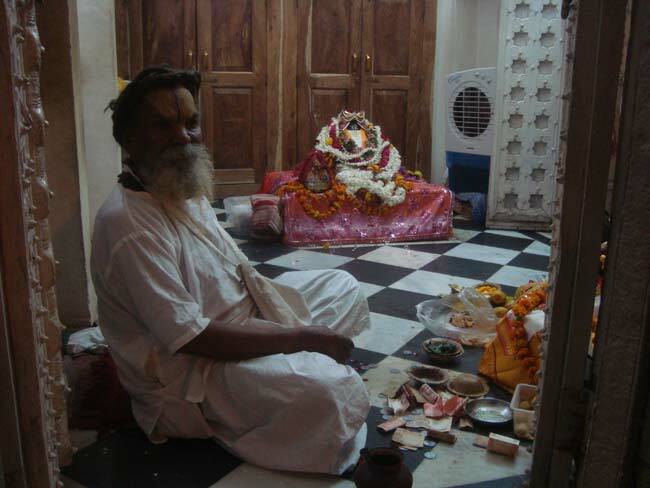 The Deity manifested from a Salagram Sila worshiped by Srila Gopal Bhatta Goswami. 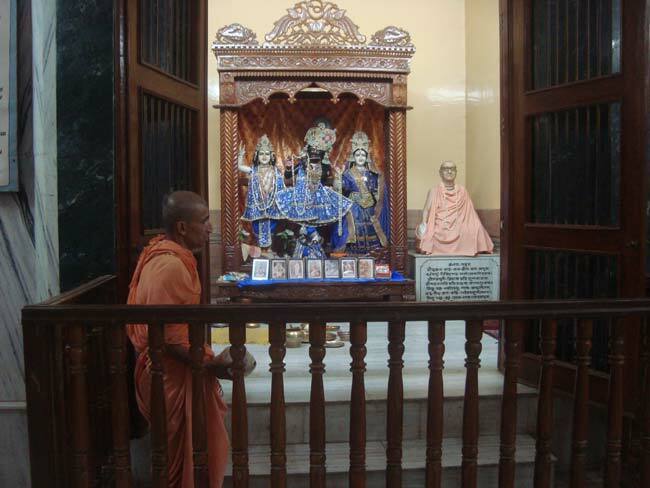 Vyasasan in the temple, in Srila Gopal Bhatta Goswami's honour today. 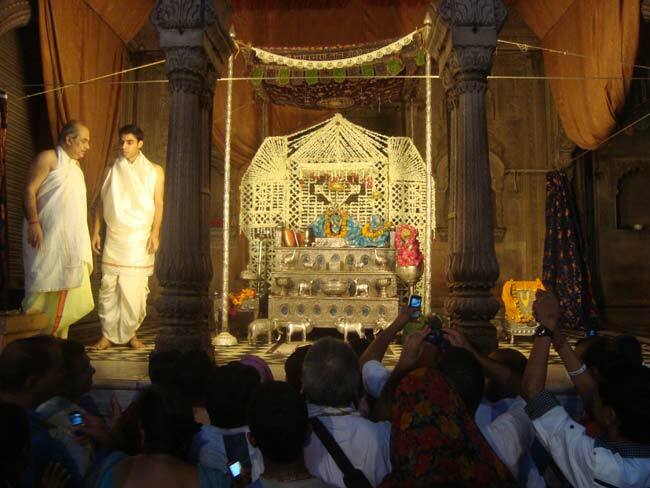 Heading back to our Math we pass by the Shahji Temple, built in the latter part of the 19th Century for Sri Radharaman, but at the last minute the Lord did not move from His original Temple. 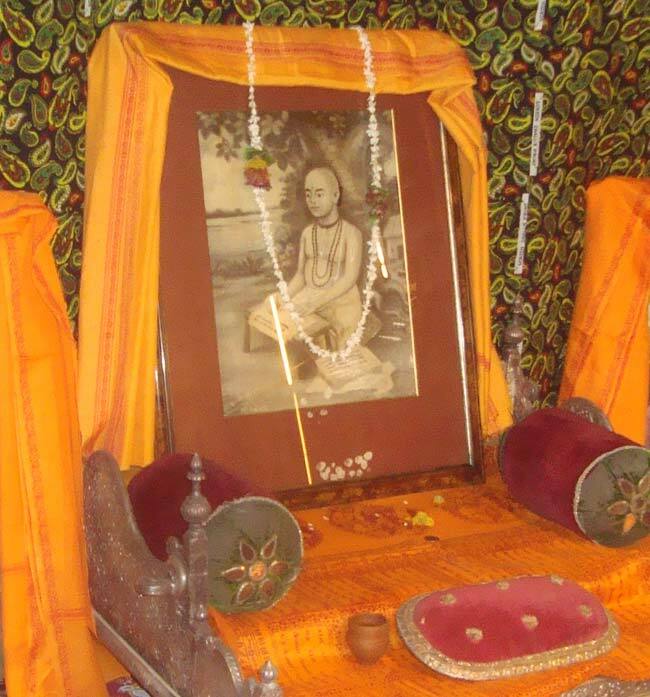 Returning to our Sri Chaitanya Saraswat Math & Mission, and to the evening arati to Sri Sri Guru Gauranga Gandharva Rasabiharijiu. 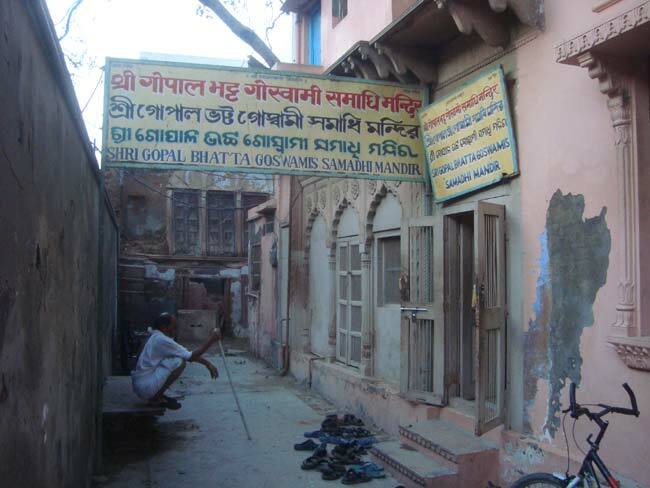 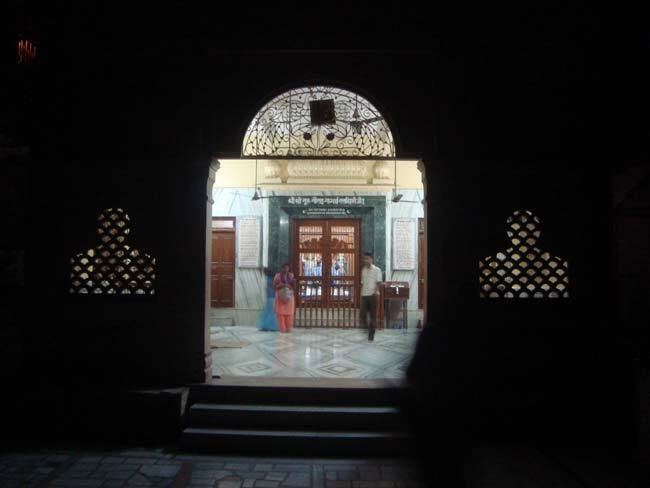 Our Temple is situated in the very centre of Seva Kunja and Vrindavan, being adjacent to Srila Jiva Goswami Prabhu's Sri Sri Radha Damodar Temple, his samadhi and the samadhi of Srila Rupa Goswami. 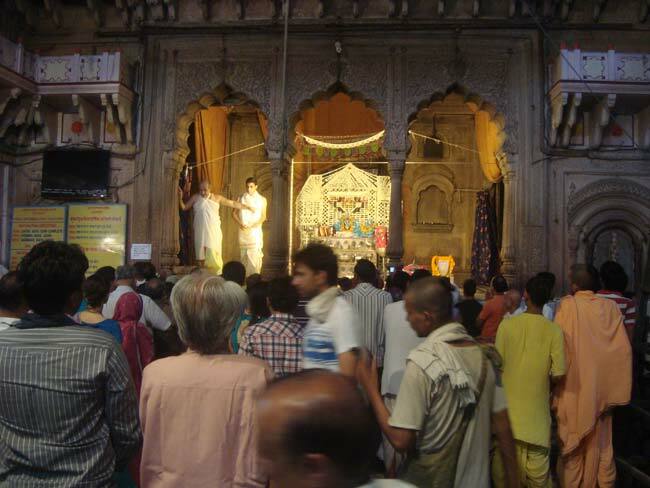 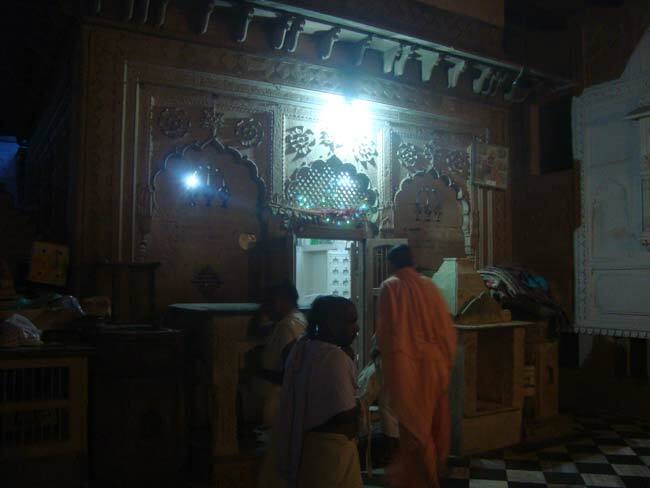 Night draws in, as Srila Gopal Bhatta Goswami Prabhu's disappearance day draws to a close here in Vrindavan.